It all started when I first heard his name “Sachin” from my uncle, “Sachin played a fantastic knock last night. He scored 110 against the best bowling attack in the world!” The excitement and happiness I saw in him, is priceless, and to know the man behind his happiness, I started watching Cricket…a sport that gave me happiness and tears in equal share. In such a sport, the invention of 20-20 cricket gave life a new dimension of happiness and with Indian Premier League (IPL), we saw a new era of cricket raising high, combined with music, cultural performances, world talents became local, glamour and beauty, gave us a complete entertainment package. I started watching IPL 2008 as a Sachin’s fan, but slowly I became a mad fan of IPL. I started watching all the matches irrespective of the country and time zone I lived in (London (UK) & Hamburg (Germany)) and with Sachin in his peak form in IPL 2010, and YouTube broadcasting IPL live, it was a treat to watch Mumbai Indians matches and other matches. I remember going to office at 6:00 AM IST in the morning just to make sure I leave the office at 3:00 PM IST so that I could watch IPL peacefully, but after much anticipation and expectation, IPL 2010 season ended on a sad note. The IPL maniac did not stop with watching matches in 2011 instead it continued in various ways, as I wrote previews and reviews in a contest hosted by my office and won prizes in them. The height of IPLism is I took half a day leave on alternate days just to watch IPL and write about it. It doesn’t stop with that, I skipped food at night, ignored Whatsapp beeps and Facebook notifications, and the best of all is I missed to fill my appraisal in time. In short, I lived in my world, in which Sachin’s 100 was celebrated much more than getting a 20% hike in salary, and Chennai’s consecutive title win solaced my scar left by Mumbai Indians loss against RCB. What an opening we had in 2012! Be it Prabhu Deva’s magical dance or Priyanka Chopra’s graceful movements, I enjoyed watching them. Best of all, I cannot forget how my friends teased me on phone after watching the stars live in Chennai, and I missed all the fun, and sat miserably, at the other corner of the world (London). I do not want the miss the fun of watching the finals at Chennai with my friends. Hence, I travelled all the way to Chennai (ignoring the gyan’s of my family members) just to watch Chennai defeating Mumbai Indians before losing to Kolkata Night Riders. 2013 was altogether a different experience! Newly married…historic serials and IPL, two different worlds, but somehow convinced my wife to watch IPL. Convinced? No, we signed a treaty called “Movie Time”, which means I have to take her to new movies on all Saturdays and it worked out well for us. We spent more time together, knowing each other madness. IPL was more exciting which was complimented well by my wife’s exclusive preparations “Pakora (Pakoda)”, “Bhaji” and “Karams”. And after a five years wait, Mumbai Indians lifted the maiden IPL cup and the God of Cricket, my Sachin, retired from IPL – Happiest and saddest day of my life! Moving to Germany alone, re-joining my family after a four month’s gap, then getting published and after missing Project deadlines, I am back to IPL. This time, without my favourite icon, “Sachin”, but with my favourite Sports Channel “Star Sports” website: www.starsports.com #KANNAKEEPCALM AND WATCH PEPSI IPL ON STARSPORTS.COM Right from the fastest scoreboard ever seen to Kanna Keep Calm Moments, Zip Clips to Infografix, Stories to Polls, and not to forget the Mystery Box, everything makes my life wonderful. Caution: Issued in Public Interest: Do not blink your eyes; you might miss the latest update! Each ball bowled, each run scored, each second makes a huge difference, with Star Sports instant updates one might miss to breathe but not the latest score. This is one feature which amazes me. 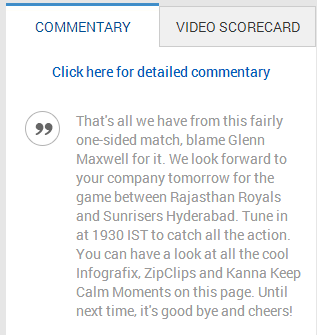 Faster text commentary along with Video Scoreboard, what a Combo Sirji! You can always watch all the actions (either missed or the one you like to watch again) using action recap feature which updates every four hours. Caution: Issued in Public Interest: Your favourite player’s lost the stumps or did he hit the stump from long off? You can shed tears of joy or sadly. #KannaKeepCalm Moments and Award is a must to watch! Caution: Issued in Public Interest: Do not forget to breathe! Watch the key moments of the match, in case if you missed the match. Be it Maxwell’s stunning performance at the crease or Ashwin’s nightmare over, Rohit’s caption knock or Dhoni’s sixes, watch them all. Caution: Issued in Public Interest: This is not what you see in your BOSS’s presentation! Bored of age-old presentations and graphs? Here is a quick visual treat for you. Even if you hate the subject statistics, you’d love to watch these brilliant graphs, doodles and sketches that are part of Infografix. STORIES: Love to read? Here is a special treat for you then! POLLS: We fancy polls. Aren’t we? 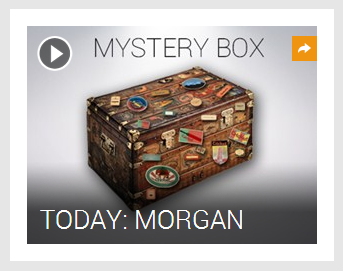 MYSTERY BOX: I will leave this as mystery for you. Visit www.starsports.com and watch now. IPL is not just a game, it’s a celebration! Join the celebration now! I have no more interest in watching IPL but I can closely relate to the intense attachment and extreme happiness of Master Blaster Sachin on the crease. For those who have seen Sachin playing, cricket won't be same again. My husband and mom loves IPL for the fast action. 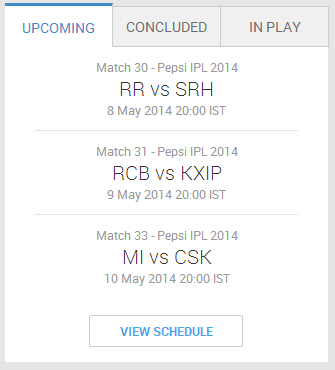 Next PostNext Things I have done so far to watch IPL!